losing weight fast seems to be a challenge to many people even me but the truth must be told which remains "exercising is the best way to lose weight" but not only that but other things which are stated as you read on. 1. Exercise: In order not to deceive yourself when it comes to weight loss and lose weight fast without starving, the best thing to do is to start exercising the body. There various exercise such as walking, skipping, jogging, running, trekking, swimming, stairs trek, and many more. It helps increase the rate of digestion and metabolism of the body and keeps the body in good shape. 2. Cardio: This is a faster way to lose weight because it involves exercise that keeps the heart healthy. Cardio Exercise are exercise makes you breath faster, you eat your normal food and its very good for weight loss. Example of cardio exercise includes running, jogging, huddles, football, cycling and many more. 3. Eat Fruits: If you are really determined to shed some weight then a fast way without straving to get a good result is to cultivate the habit of eating fruits. 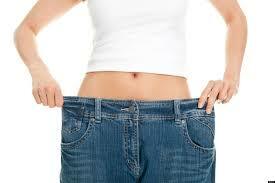 Fruits like apple, cucumber, oranges, carrot, garden egg, strawberries, mango etc are very good for weight loss. 4. Reduce Cholesterol: Another good way to shed weight very fast is to reduce intake of high cholesterol foods. Cholesterol are animal fats and its much more advisable to avoid eating it instead you can buy low cholesterol oil and other items. Excess cholesterol may not let your exercise work unless you reduce it. 5. Eat Healthy: one of the best way to lose weight as fast as possible and still eat well is to eat healthily and what we referred to as eating healthily is to eat balance diet, fruits, vegetables and to avoid junks. Eating healthily implies you need to avoid junks, fatty foods, avoid excess sugars, salts ,oil etc. 6. Sleep Well: To lose weight fast and not starve, you need to sleep well and its healthy to sleep few hours of sleep per day preferably 6hrs. It makes the body nerves relax and function properly. If you skip sleeps and you avoid sleeps because you want to lose weight, then it wrong. 7 Drink Enough Water : Water aids digestion, it helps the skin and to lose weight very fast, you will need to drink enough water which helps every organ in the body function properly. These are some of the things you need to consider to lose weight, shed some fat as quick as possible without you straving yourself to deah or if you are involved in any weight loss program, you still need to follow the instruction above, it will help you shed weight quick. Thanks.